Welcome back to Avenging the Week. 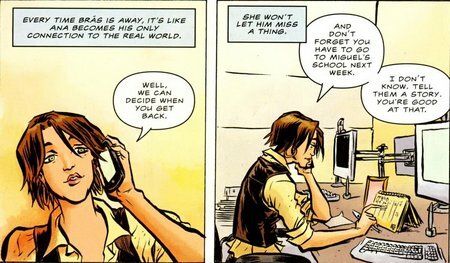 This is a short one, in which we briefly discuss Daytripper and take a look at tomorrow’s comics today. As always, spoilers below! Quick note: Sorry for the lengthy delay between columns, but my time has been consumed by increased work responsibilities and wedding planning. I will try to stick to a weekly schedule going forward. The cover is perfect. Gabriel Ba presents us with an idealized domestic scene, with Bras’s wife Ana preparing to read one of his stories/ letters to their son Miguel. The room is bathed in a light that forms Bras’ silhouette. He is the emotional center of this family, even in his absence. For the first time, we get a completely Bras-less issue, and we are left to imagine the man that Bras had become through the eyes of his wife and son. I suspected that the events of the previous issue foreshadowed a permanent change from the now familiar narrative structure of this series, but the tragedy that suffused every page of this issue was kind of shocking. The last issue had a sense of foreboding that began once Bras found out that his friend was living in the wilderness, but this is on an entirely different level. Ba paints a portrait of someone who has incorporated the life lessons learned from his distant but loving father and his mercurial, insightful best friend and completed his journey into manhood. He has found a healthy balance between his professional life as a working writer and his role as a loving father and husband. It’s the best of both worlds, but Ba sprinkles the story with little nods to the discipline and adherence to ritual that the couple adopts to maintain that work/life balance. Sending regular e-mails and love notes from the road. Getting up early to have breakfast with the family before work. Calling your husband when he’s away on business to make sure that he stays connected to the real world (i.e., the world of the family). It’s tough to tell a story about love and loss without drifting into sentimental cliche, but these little moments, along with the scenes when we see the challenges Ana faces whenever she is solely responsible for her job and Miguel for long stretches of time, or when she complains about his smoking, help keep the story emotionally grounded. 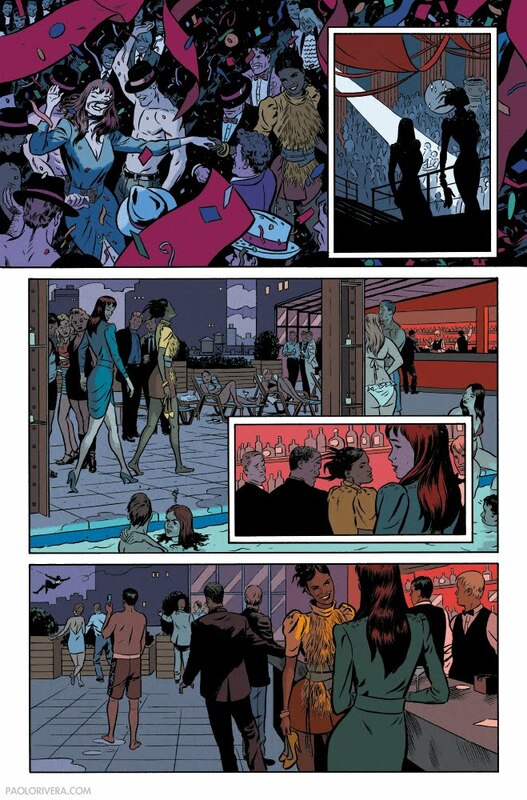 Moon continues to demonstrate his visual storytelling skills this issue, particularly through his use of color to define the mood of a particular scene. The dark blues of the master bedroom at night perfectly convey the loneliness Ana faces when Bras is gone, just like the summery yellows of the classroom evoke childhood memories. Ba returns to the classroom after the family learns of Bras’s death, and his use of a muted palette that captures the change in atmosphere as the room transforms into the place where a scared child eulogizes his father is masterful. 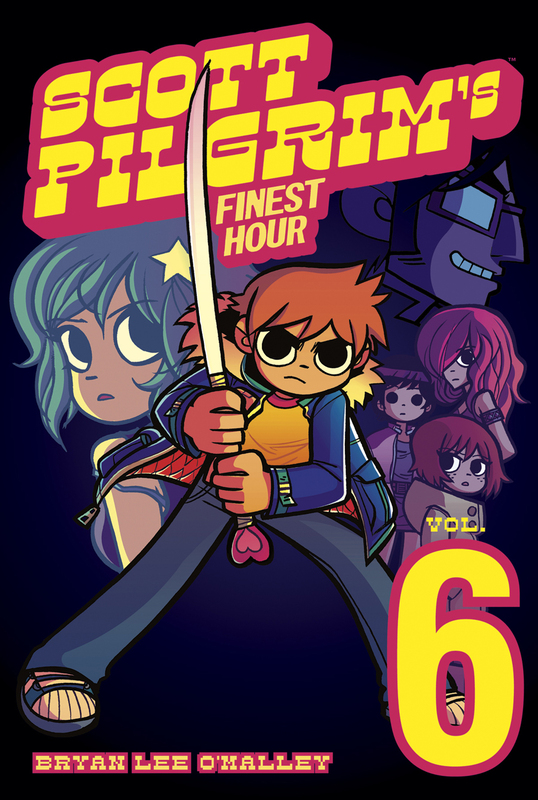 I’ve said this a few times in the recent past, but it bears repeating: go buy this book! 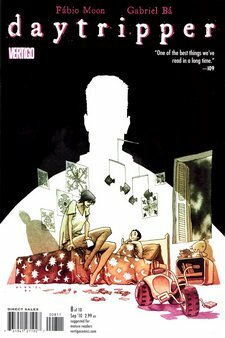 I know some people are waiting for the trade, but I think that there’s a unique pleasure in reading Daytripper as a series of interconnected stand-alone stories. This issue has a subtle poetry that may be missed if its just seen as a chapter in a longer story. Then again, it’s impossible to know until the trade comes out. You know where this has to start…. 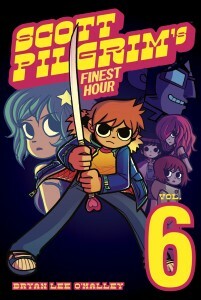 The much-awaited conclusion to Bryan Lee O’Malley’s Scott Pilgrim series comes out today (today’s comics today?) and I think I can confidently predict that it will be a candidate for book of the year. Bob’s the man! I’m really going to miss this book when it’s gone. 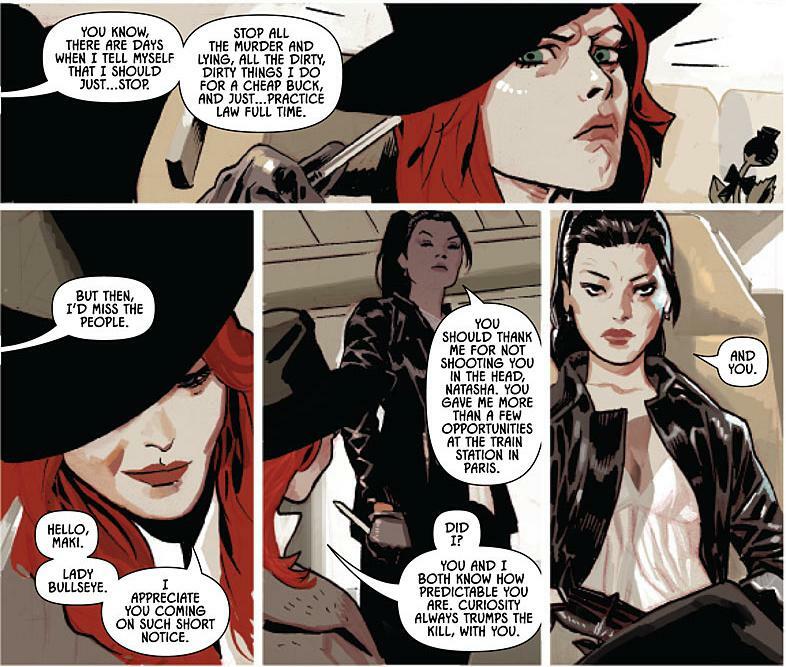 I was afraid that the Black Widow ongoing would be overly focused on her romantic entanglements with A-list male Marvel heroes (Bucky-Cap, Iron Man, Wolverine), but Marjorie Liu proved me wrong with the second issue. This may be one of the few mainstream superhero ongoings that can consistently pass Alison Bechdel’s famous “Dykes to Watch Out For” test. 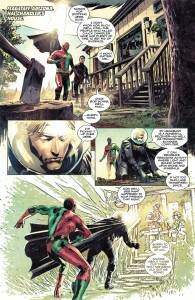 Daniel Acuna’s art is growing on me with each issue. I love his character’s faces. This preview may be the first time that I’ve actually been interested in Lady Bullseye as something other than a plot device. Check out the preview. 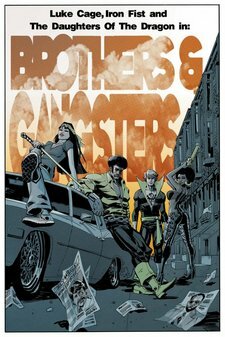 Paolo Rivera is the only reason I’m reading this. I may even ignore the word balloons. Click through to see the full image. 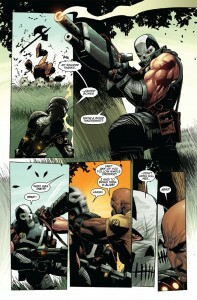 This is one of my favorite books at Marvel. Parker just hits it out of the park on every issue. As always, check out Comic Book Resources for more previews. –Dan Panosian, via JK Parkin of Robot 6. 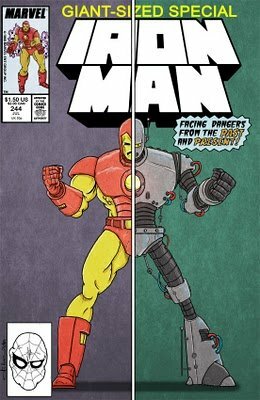 –Oli Lee, covering Bob Layton’s classic Iron Man cover for the Covered blog. 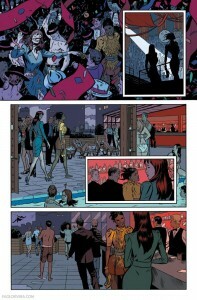 I love the melting Spider-Man in the bottom left hand corner. 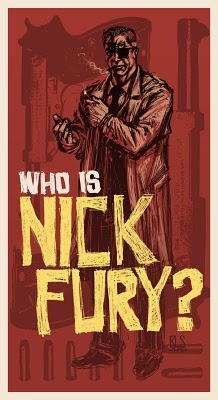 –Ron Salas, with a 1960’s inspired Nick Fury for Comic Twart. -Wake Up! 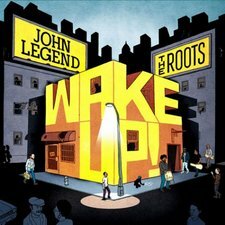 – This is the cover to the joint album by John Legend and the Roots entitled Wake Up! via Nah Right. Check out the first single, “Wake Up Everybody”, featuring Common and Melanie Fiona here. 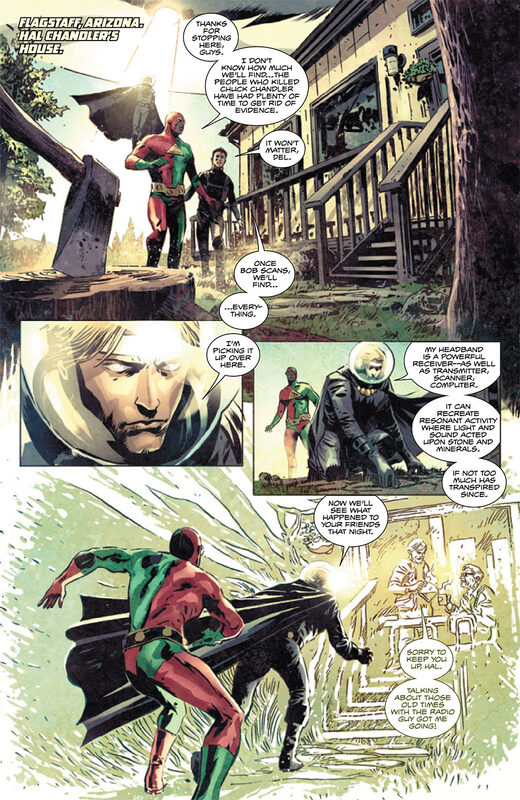 -Gavok, of 4th letter with a remixed version of a page from J. Michael Straczynski’s embarrasingly bad Superman #701. 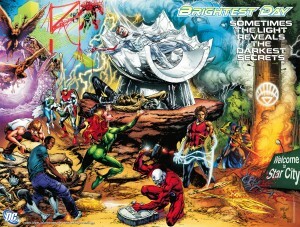 This poster captures the pure essence of Brightest Day. If you think this is intriguing, Brightest Day may be for you. Bill Murray thought that Garfield was written by a Coen brother. The Unwanted, a comic by Joe Sacco for the British Guardian, tackles the impact of mass immigration on Great Britain. via Forbidden Planet’s excellent international blog. Cynic fills in for Ta-Nehisi Coates with a brief, yet intriguing post on the link between fraternal groups in the African American community and the kinds of online communities built around MMORPGs like World of Warcraft. I’d love to see him write more on the subject. The official Pedro Tejeda dessert is unveiled. Dana Priest and William Arkin of the Washington Post have begun a comprehensive examination of the U.S. national intelligence superstructure in Top Secret America. The Post has done a great job with the site for this story. Check out the response from think tanks here and the intelligence community here. Are you a supporter of cutting edge independent film? Hell, do you just like movies that are entertaining? Check out the trailer for Elliot Loves. The filmmakers are raising funds to complete the film through Kickstarter, and if you’d like to contribute to the cause, click here. A TED presentation by Naif Al-Mutawa, the creator of the 99, a superhero comic featuring characters who derive their power set from the 99 attributes of Allah. 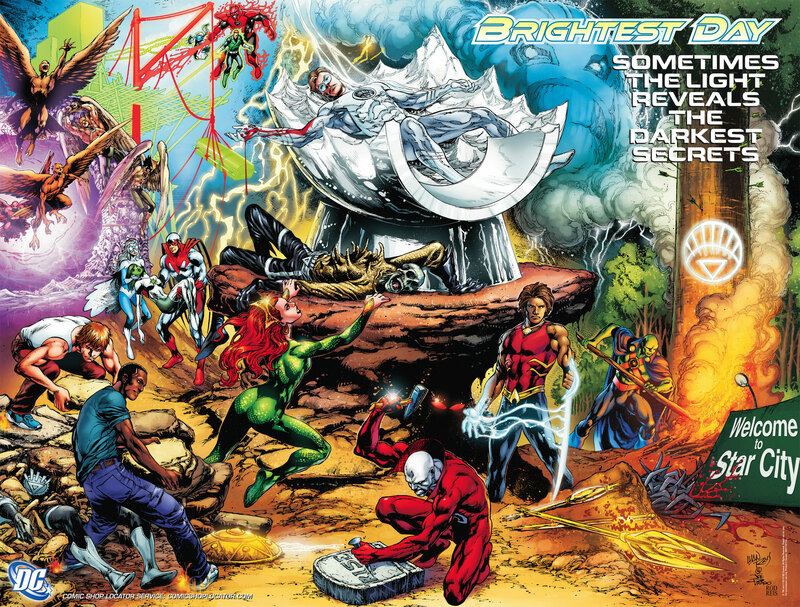 Apparently, there’s a crossover with DC’s Justice League of America in the works. There are also plans for an animated series, and the creator is exploring theme parks and video games. This strikes me as an ill-conceived (but well-meaning) blend of unsubtle political messaging and I.P. exploitation, but check it out for yourself. See you next week, with reviews, links, commentary, and retractions(!). Oh, and I’ll probably have something to say about that little get-together in San Diego. In the meantime, you can catch me tumblin’ at Conservative Radical.